It’s funny to me. I’ve seen a lot of these memes come and go and I’ve never bothered to participate before. I wonder if it’s because no one has ever tagged me. Huh. In any case, Donna Papacosta tagged me this time, so here goes. 1. I’m a musician. I write, play and record my own music. I played in a rock band for over 6 years in the late 90s called Navin – after Steve Martin’s character in The Jerk. We cut two CDs. 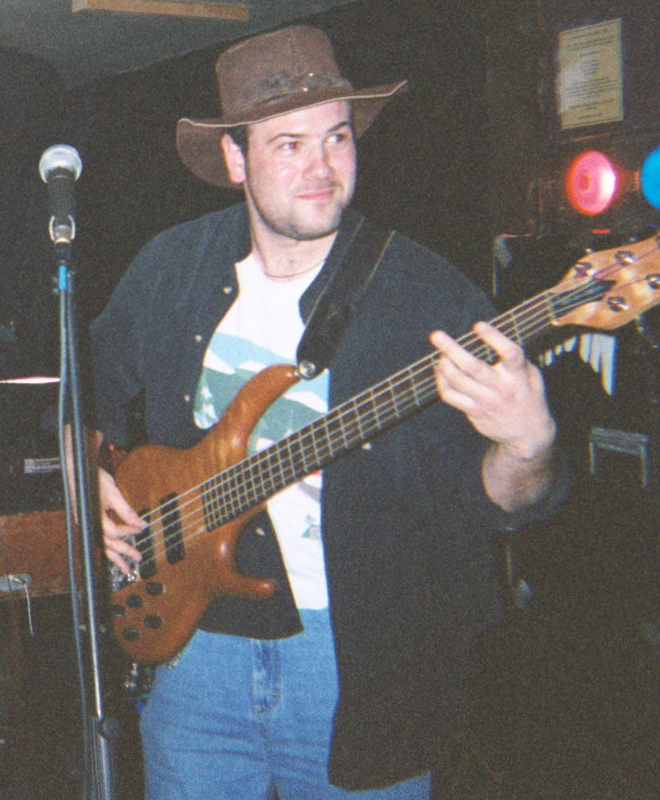 I mostly played bass for the band and I did some freelance bass work for numerous other bands at the time. I also play guitar, drums, mandolin and can plunk out some tunes on a piano and I have a violin I played on Navin’s second CD. Thankfully, I don’t play it often. Below are a few Navin tunes for you, one of which you may recognize as my intro and outro music for The Rundown. 2. 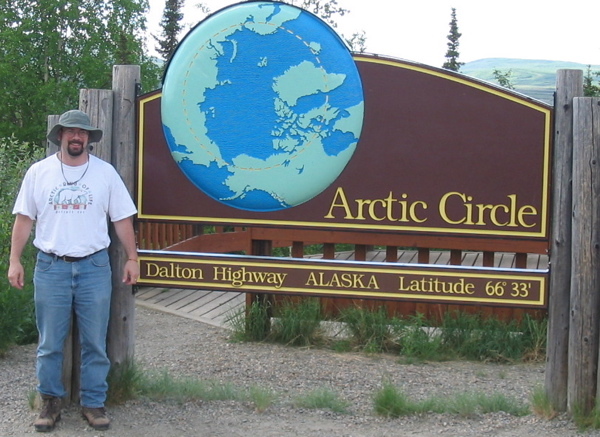 I lived in North Pole, Alaska for a year. It was totally awesome in every way and often I wished I still lived there. My dad says I’m the only person he knows who moved away from Pennsylvania because it was too hot. Well I’ll tell you, the year I was there it ranged from 100F to -57F. But it was a dry heat and cold, as if that matters. Great hockey up there, too. 3. Hockey is not only my sport of choice, it’s the only sport I pay the least bit of attention to. I started playing hockey when I was 8 because my older brother was the best wrestler, baseball and football player in town. I still play hockey once a week and am thrilled our local cable just picked up Versus. 4. I’ll do nearly anything for a laugh. If you’ve read this blog enough, you already know that. But what many of you don’t know is that once you meet me in person it gets even worse. 5. I’m a total geek. Sci-fi, fantasy, D&D, comics, gaming and mythology of any kind. Firefly is one of my favorite shows, even though FOX sabotaged it early on. I love Star Wars, comics-turned movies (with the exception of Elektra, wth was that all about? ), Stargate, Smallville, Pratchett books, Tolkien, George R. R. Martin, Orson Scott Card and even Star Trek in a pinch. 6. I used to do a lot of theater. Acting, directing, light design, set construction – straight plays or musicals – I loved it all. I got bit by the bug in high school and – on certain crazy nights – thought about doing it full-time. The last few years I appeared on the stage were in a few two-man shows with my best friend; Greater Tuna and The Mystery of Irma Vep. Hilarious scripts. 7. I’m a fool for a good period-piece movie. Not sure why. 8. When I was 13, I broke my femur doing idiot teenage things like playing tag on a downhill ski slope. The femur is the largest bone in a person’s body and, as you can imagine, it hurts when it breaks. I was in traction for 3 months, which has its good points (no school) and bad points (bed pans). Yes, I managed to pass 7th grade and I still go skiing. And there you have it. Since I’d like to know a little bit more about some of my online friends, I’m tagging Stephen Davies, Peter Himler, Katie Paine and Kevin “The Doog” Dugan. Luke — Thanks for the call-out. My life’s not such a mystery. Between my LinkedIn profile, my company website, and the 2.5 years of blog posts, my life’s pretty much an open book. I will tell you that Navin Johnson is a character in one of my favorite movies, and that my life revolves around my wife and three sons, two of whom are in college (Amherst College and Harvard). The third is a 0th grader. Luke, and here I thought that I KNEW you! Only #4 was not news to me. Peter, Thanks. I guess that goes for most of us, but sometimes there are just things you feel don’t fit anywhere else. Your life is an open book. Katie, aha, I tagged you because I hadn’t remembered seeing a post with such an obvious title. You hid it! Donna, to put #5 into true effect, as the “warrior-poet” Shan Yu suggests, the only way to truly learn about someone is to torture them. Do you really want to meet the real me? I hope not.